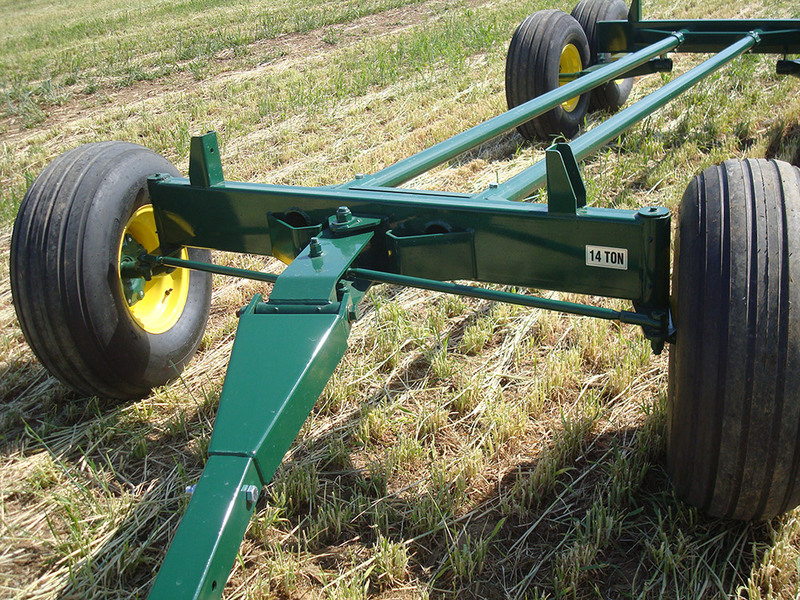 The Diller Wagon Chassis is regarded as one of the most durable and best trailing running gears manufactured today. 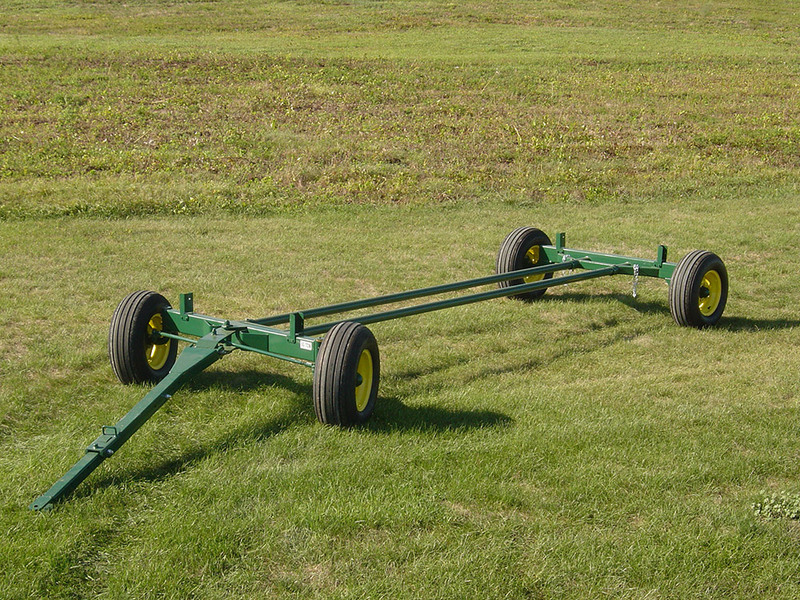 Many users share with us that after owning a Diller wagon chassis, they would never own any other brand of wagon running gear. 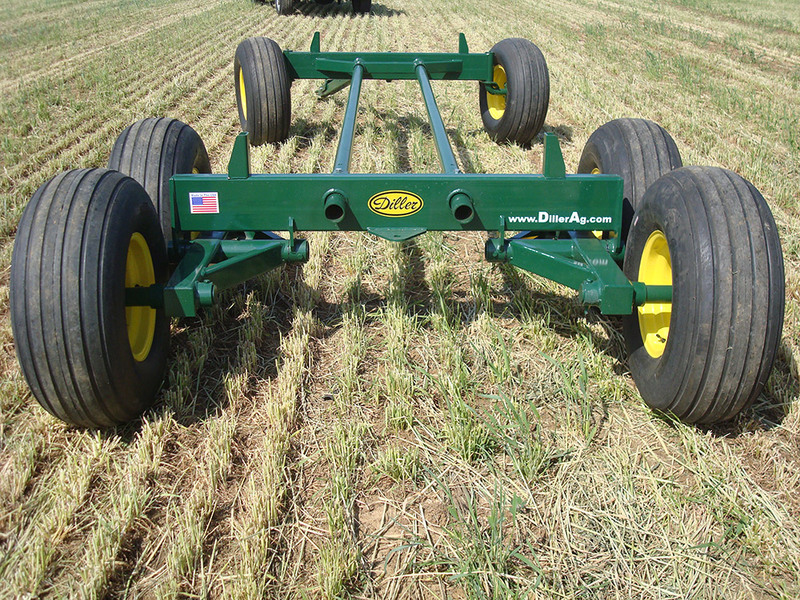 Every Diller chassis shares several unique features that enhance quality, durability and the value of our running gear. The core of the Diller running gear is the double coupling pole design. With the double coupling pole design you create a "boxed frame" concept which is 300% stronger than the single pole design, making bending the poles nearly impossible. 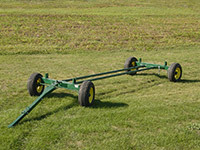 The axles are constructed from heavy wall steel tubing with heavy duty 1/4" thick bolster stakes set at 42". The Diller gear utilizes a reinforced spindle design on every axle and tapered roller bearings to provide long life and low maintenance. Extreme attention has been given to the Diller steering components, and our theme is "over-engineered". For starters, heavy duty 1" solid steel tie rods connect the tongue and spindles. The heavy duty automotive style ball joints on our tie rods are Teflon™ lined, greatly extending the life of the ball joint and providing a precision fit. This eliminates any play in the steering and gives you a superb trailing gear. A greasable bushing resides at every wear point and makes routine maintenance easy. 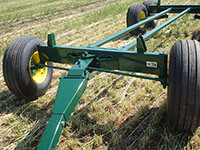 Every Diller gear features an "Easy-Hitch" quick pull-out tongue to make connecting to a tractor or truck quick and easy. 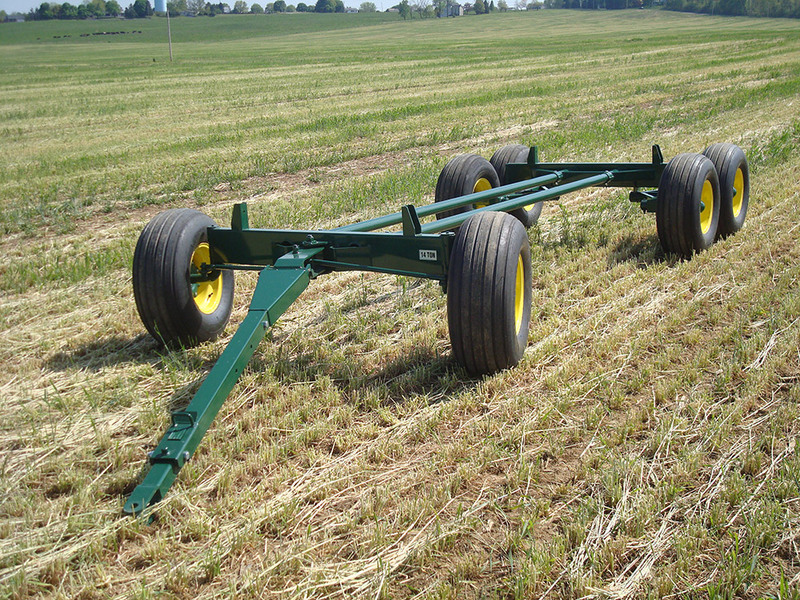 Finally, like every other piece of Diller Ag Equipment, the Diller wagon chassis is finished to look new for years. After fabrication, all components are acid washed to remove any oils, dirt or other contaminants that could prevent paint adhesion. A coat of epoxy primer forms the base of the finish and is topped off with a finish layer of PPG™ two-part polyurethane paint. Due to the "elastic" nature of polyurethane paint it provides a durable finish that resists fading, chalking and chipping unlike many other finishes. Diller Chassis are available in 8 to 20 ton capacities, in both single and tandem rear axle configurations. 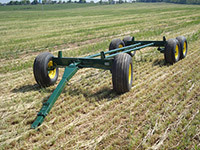 Options available for the Diller chassis include: 8" Extended Wide-Track axles and Spring-Assist tongues for easy lifting. 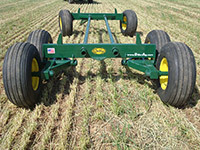 Bolster Stakes — Set at 42"
Optional 8" Extended Wide-Track and Spring-Assisted Tongue Lift are available.